Thought I had picked up a parasite from travel to Spain. Since starting the cleanse I am feeling better but plan to continue taking Herbal Guard Parasite Cleanse by Yerba Prima just to make sure. 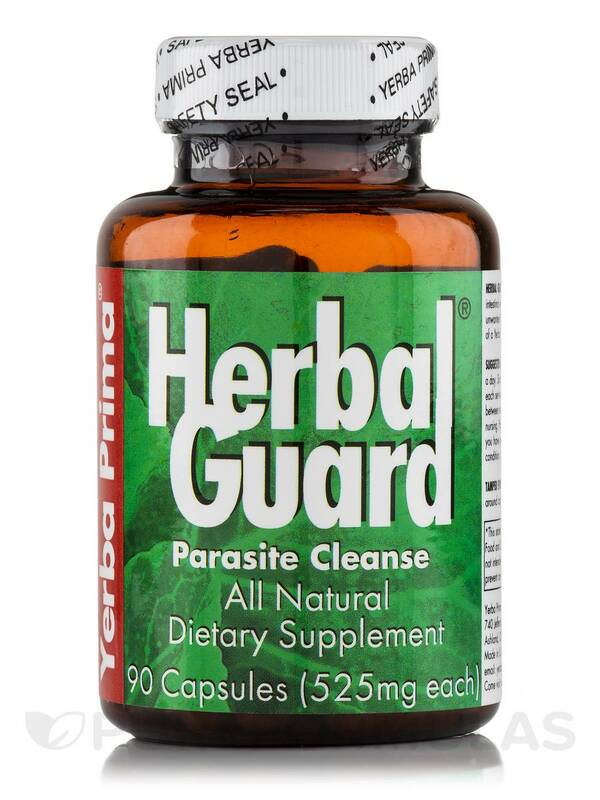 Herbal Guard Parasite Cleanse by Yerba Prima works well. It is not hard on your body at all. Support your body’s digestion and elimination function with Herbal Guard® Parasite Cleanse – 90 Capsules from Yerba Prima®. This preservative-free dietary supplement may inhibit the growth of parasites and harmful microorganisms in your colon and promote gastrointestinal wellness. Extracts of triphala‚ elecampane root‚ ginger root‚ schisandra berry‚ cloves‚ dandelion leaves and root‚ cat’s claw root‚ black walnut hull‚ and goldenseal root in cleansing herb blend may increase urine output and cleanse colon. Studies reveal that triphala detoxifies body‚ promotes digestion‚ improves circulation‚ and moves feces out of your colon. Elecampane helps kill parasites and microorganisms that infect your gut to ward off associated conditions. Ginger root could potentially soothe your digestive tract‚ reduce nausea and flatulence‚ and alleviate stomach pain. 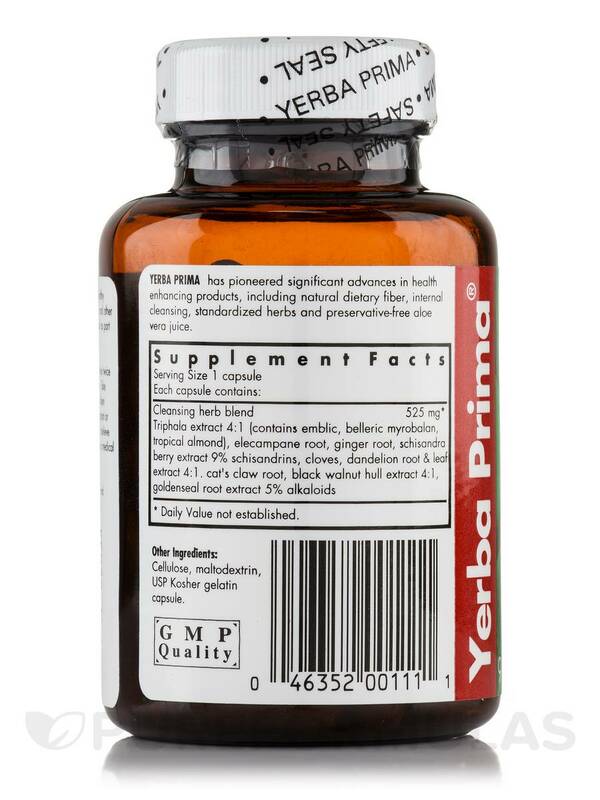 The presence of schisandra berry in this dietary supplement from Yerba Prima® may relieve stomach discomfort‚ encourage the growth of liver cells‚ and support liver function. Beneficial extracts of Dandelion and goldenseal reportedly improve digestive health‚ promote bowel movement‚ and increase urine production. Cat’s claw could potentially boost immunity‚ kill harmful cells in your body‚ and keep away digestive conditions. Black walnut hull in Herbal Guard® Parasite Cleanse – 90 Capsules from Yerba Prima® reportedly fights parasitic infections and supports gastrointestinal health. 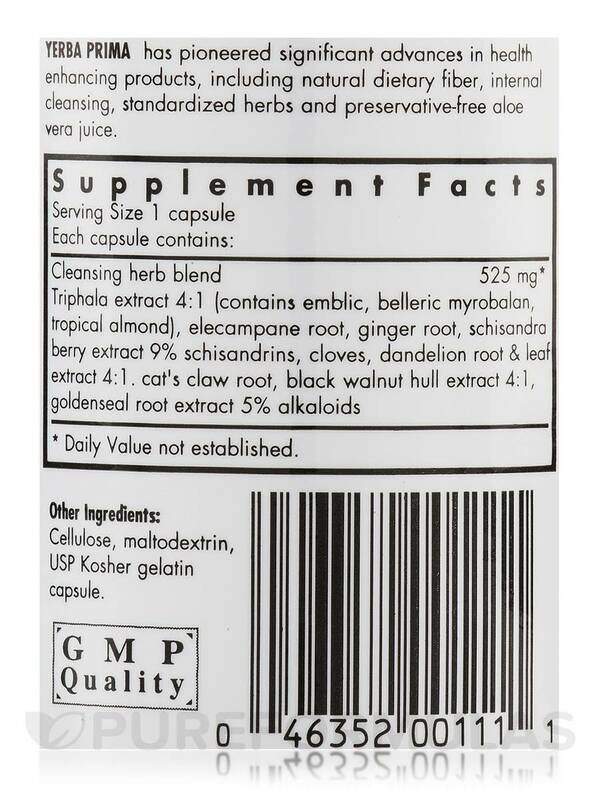 INGREDIENTS: Triphala extract 4:1 (contains emblic‚ belleric myrobalan‚ tropical almond)‚ elecampane root‚ ginger root‚ schisandra berry extract 9% schisandrins‚ cloves‚ dandelion leaf & root extract 4:1‚ cat’s claw root‚ black walnut hull extract 4:1‚ goldenseal root extract 5% alkaloids. Suggested Adult Use: Long Term: Take 1 - 2 capsules twice a day. Short Term: take 2 - 4 capsules twice a day. Take each serving with a full glass (8 oz) of liquid. Best taken between meals. Begin gradually. Do not use if pregnant. Parasites can be a serious condition. If you believe you have parasites‚ contact a health professional. 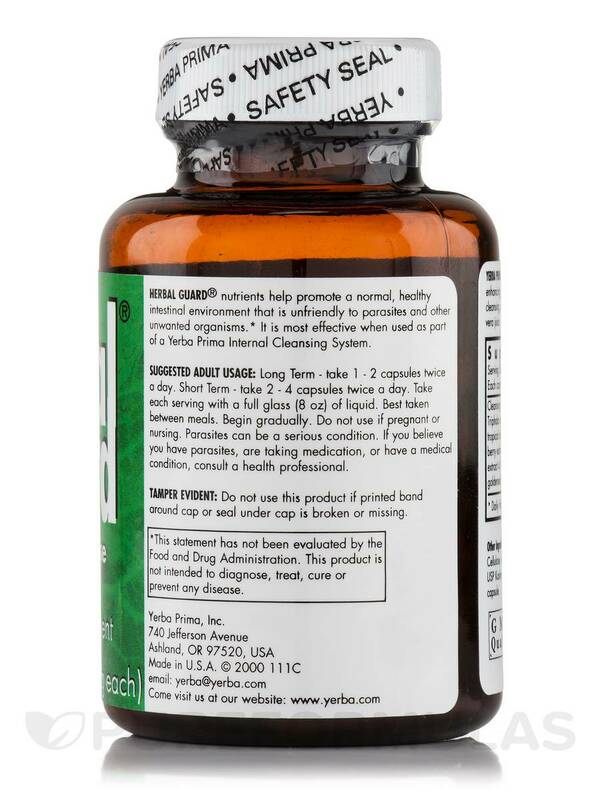 Herbal Guard is most effective when used as part of Yerba Prima’s Women’s Renew Internal Cleansing System or Men’s Rebuild Internal Cleansing System. Makes me go to the bathroom a lot. 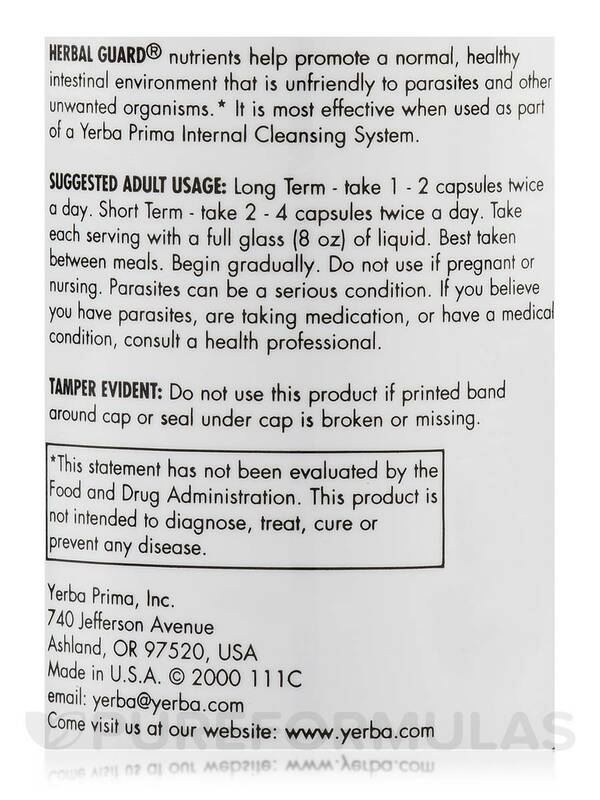 I just started using Herbal Guard Parasite Cleanse by Yerba Prima a few days ago. So far it seems to be working and no side effects. My daughter has parasite issues that cause bed wetting the product has seem to stop the bed wetting. The Cleansing of the Parasite has been effective and no side effects. A friend recommended the product and we are pleased with the results. Thank you.